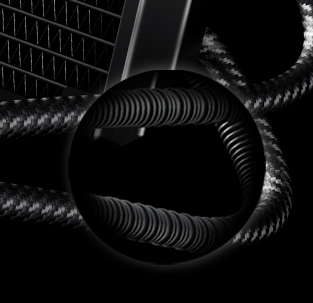 The advanced dual rings on fan and the RGB LOGO on pump can sync with motherboard software. Enjoy the built-in 55 lighting effects including Neon-Flex RGB, Multi-color and LED off. 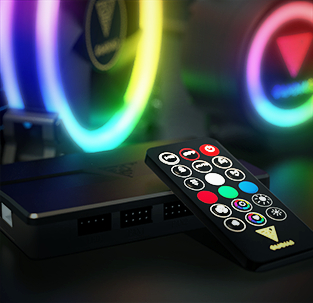 Simply create your own PC style by pressing button to switch to MB mode for software adjustment or exchange to various effects and fan speed with the compact remote controller. 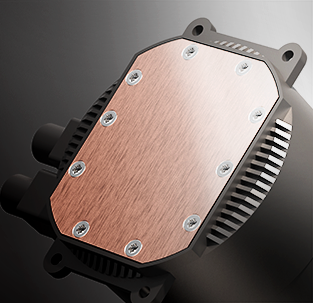 As an all-in-one liquid cooler, CHIONE E1A 120R does not take much space and offers more installation options. The amazing design makes installation and maintenance no longer a nightmare. 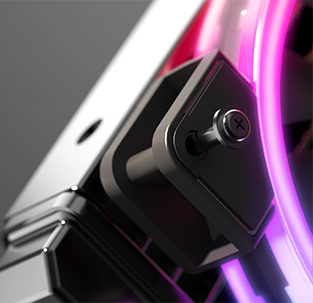 Add up to 6 fans & 2 additional LED strips together to exhibit group lighting effects and fan speed with AEOLUS Box II which easily fits inside your case with built-in magnet. 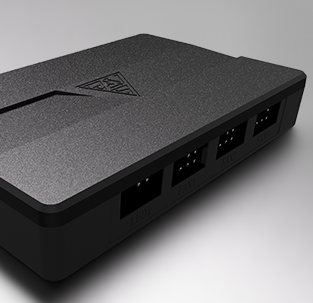 With Daisy Chain Topology, no matter how many fans you install in the case, you can always connect them through more than one AEOLUS Box II to make the adjustments at one time. CHIONE E1A 120R comes with the leak-free Teflon Tube which makes liquid evaporate at an extremely low rate. The tube remains anti-explosive despite high pressure and extreme heat triggered by the cooling process. Hence, this makes CHIONE E1A 120R a tremendously durable cooler. 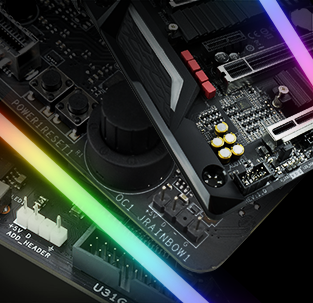 CHIONE E1A 120R supports motherboard sync software including ASUS AURA SYNC, GIGABYTE RGB FUSION, MSI LIGHT SYNC, and ASROCK POLYCHROME SYNC, making it easier to have all your compatible components sync to the same beat. Your PC will have dazzling, impressive, consistent lighting.